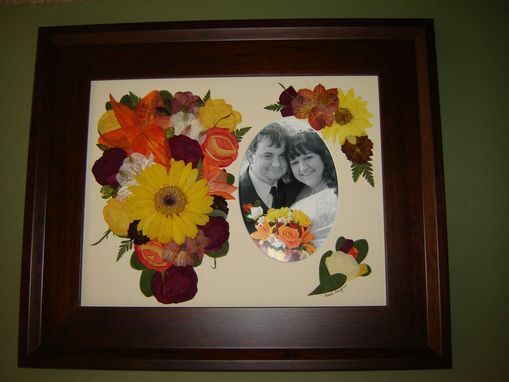 Floral Preservation - Bridal Bouquet With Wedding Photograph! 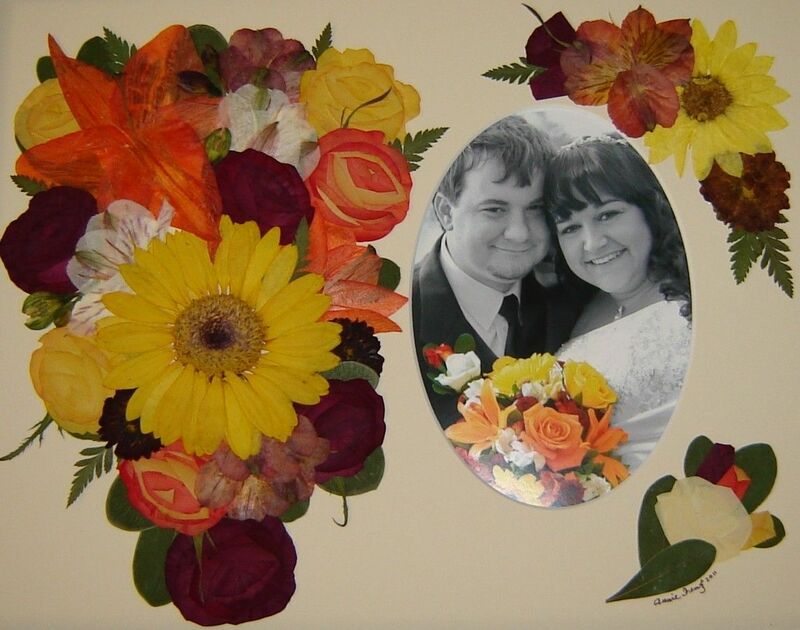 Pressed Flower Art Made From Brides Bouquet! 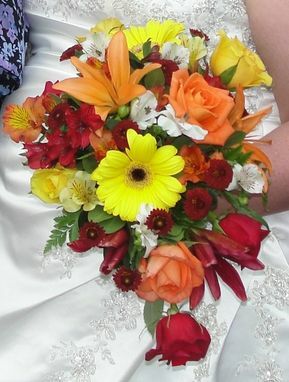 Gerbera Daisies, Roses, Alstromeria and Lillies! This art includes not only her wedding flowers, but also the groom's boutonniere and up in the top corner, one flower from each of her bridesmaids bouquets! As you can see, the theme was rainbow!